Alkaram Studio is also one of the best and leading clothing brand which deal in men, women and kids clothing for every season like summer, spring, autumn and winter. Folks like the clothing and fabrics of Sania Maskatiya by Alkaram Studio as they use imported fabrics in all their apparels with which their all clients and fans are satisfied and that’s why prices of all clothing are little high from other brands as compare to previous Sania Maskatiya Lawn 2015 collection. On 11th of this June 2015, Alkaram Studio showcased their both embroidered suit collection and ready to wear festive of Eid in all outlets nationwide under the title Alkaram Sania Maskatiya Designer Pret 2015 eid dresses for women, also revealed one month before Alkaram Festival Collection 2015. We all know that Sania Maskatiya is a popular brand of fashion which mostly pay attention for clothing of Young and teenager girls. This time for this festival of Eid, this brand has launched magnificent as well as stunning collection for all lovers of fashion who even not compromise at any cost and all time wishes to wear trendy, chic and fashionable costumes for all occasions and especially on this Eid 2015. Alkaram Sania Maskatiya Designer Pret 2015 eid dresses along with lavish prints, appealing designs and modish embroidery which gives this collection an attractive and stunning look and that’s why young girls like this brand Alkaram Textiles because they can judge and understand easily the demand and need of their valued and loyal customers. Pret Wear Eid collection 2015 by Alkaram Designer Sania Makatiya are stitched and ornamented along with dazzling colors and inventive ideas for this Eid. All outfits are modish, fashionable, chic ad trendy layouts which gives a splendid impact on your personality while wearing these closets. 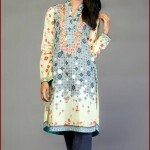 These ready to wear pret suits are out stated with fine embroidery and stitched in unique elegant styles. Even Alkaram Studio used thread of best quality and applies it on fabric. 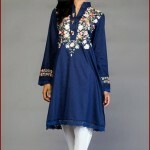 All suits are completely embroidered with lawn shirts along with dupatta of chippon and shalwar or slim fit pant or trouser. 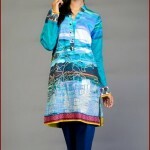 Prices of ready to wear are in range of all girls and they can easily afford it. Check below here Alkaram Studio Sania Maskatiya Designer Pret Collection 2015 for women.